Thank you to all those who joined us on Sunday 6 September to wish Ben Martin all the best in his new job and a very BIG thank you for helping to start up Chesterfield Foodbank from nothing to where we are today. Ben was presented with leaving presents and cards plus Tim, our chair, made him a special 57varieties cake so he doesn’t forget the pallets of beans that we have. as our new Project Manager to take us forward into the new year. Ian has been on the management team since its inception in 2012 when it was first discussed to start a foodbank. Ian became the team secretary producing the meeting minutes, writing and publishing the newsletter, promoting the foodbank as well as physically moving food about. Loundsley Green distribution centre. Please support Ian in any way you can, especially in promoting us and helping us raise the funds required to keep going and meet people’s needs. materials from the old warehouse in the centre of town to our new warehouse on the Sheepbridge Trading Estate. We managed with your help to transport all the food over in the first day (aches where never known before) and the next day we finished categorizing everything into the sell by dates from oldest to latest to make selection much easier. Without the people at both ends lifting/carrying, plus the many drivers transporting the goods, we would still be doing it today, a fantastic joint (still aching) team effort. Special thanks go to John & Tracey who generously let us stay in the old premises for the last two years without a charge, God bless you both! The new premises provide us with ground floor drive in facilities with the food laid out in rows of the various categories. There is room to expand, there are built in offices that include a kitchen, separate toilets and further space to meet for training. More thanks go to those who have given up their time to clean and decorate the premises making it inviting to those who will benefit from them. The kitchen would benefit from a microwave and under worktop fridge if you know of any going spare. Our dedicated warehouse team of Lisa, Terry led by Peter are already benefitting from the move. again be required each day. 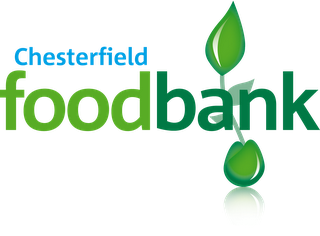 We are asking for a minimum of an hour between 9:00am– 5:00pm to hand out leaflets and/or collect the donated food in from donors. If you know of friends and family who would like to help (no training required) please let us know which days and what time you can spare. Also help with the movement of food to the warehouse if you are fit! 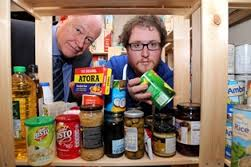 An increase in clients attending the foodbank due to further benefits cuts announced by the government. The volunteers are continuing to bring food relief to people in the area with agencies responding to having a local place for their clients to visit. Our hard working volunteers continue to move the food boxes, tables, chairs around every week to serve our increasing number of clients. vulnerable in our community financial support is now a pressing concern. Just £5 a month will support this greatly needed work and with many people around Chesterfield still geographically restricted, your donations may enable us to reach out into the unreached places. Due to local authority cuts we now face raising a further £14,000 to continue our operations in 2016 alone, if you or others can come up with fundraising ideas please tell s so that we can publicise it. Chesterfield Marathon. More news in our next issue, hopefully with pictures please? and he will arrange for direct debit information to be forwarded. Thank you!